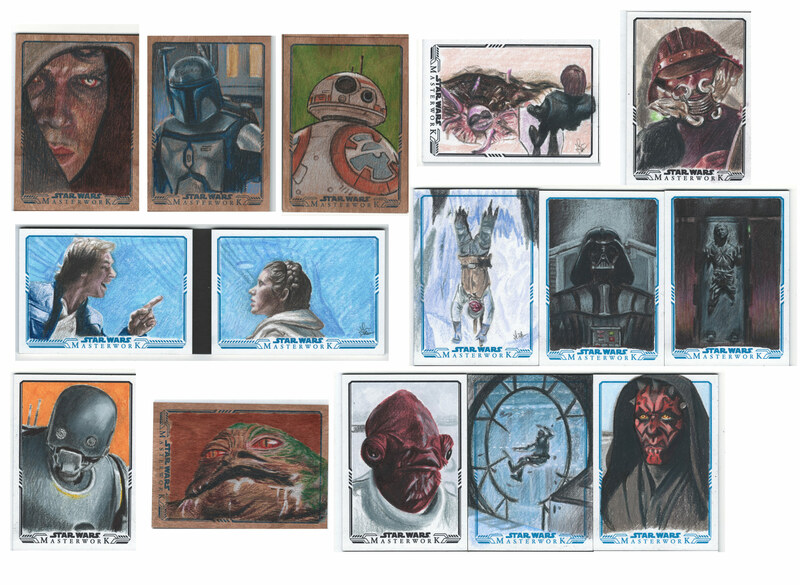 Over the summer 2017, I drew 46 sketch cards for Topps Trading Cards for their 2017 Star Wars MasterWork series. The cards are a high-end collector’s series that includes random sketch cards from a slew of great artists as bonus cards inside trading card packs. The sketches are the actual drawings randomly spread out across the run of cards. I received 5 back to keep as part of the payment process, but 41 remain in circulation for people to find. The set released November 8th, and a few of mine have started showing up on Ebay being resold by people finding them. Here’s a batch of some of the cards I drew for this set!